Ahoy, doodlers! Let your imagination run riot as you draw the ultimate battle showdown. It’s bursting at the seams with pirate and dinosaur madness to keep your brain busy. And it’s all created by the genius behind the bestselling Do You Doodle? Great! 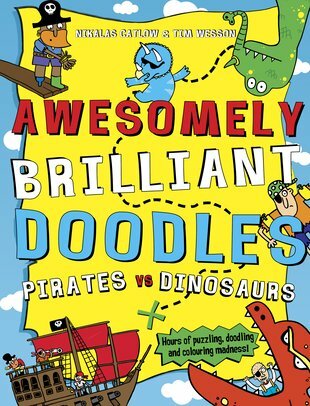 Daring doodle ideas, puzzles, mazes, wordsearches, comic strips, dot-to-dots and even wacky stories to complete. Turn every dull moment into a rip-roaring riot.